Hong Kong's C Y Leung may be breathing a sigh of relief that the Occupy Central protests are gradually withering away, but both he and Beijing have been woken up to the fact that political reform in both Hong Kong and the mainland is both necessary and inevitable if China is to progress forward. C Y Leung had given an ultimatum that the protesters clear the streets by Monday morning [6th October] or face being forcibly removed. However, hundreds remained, defying both him and Beijing. The numbers had dwindled significantly, however. 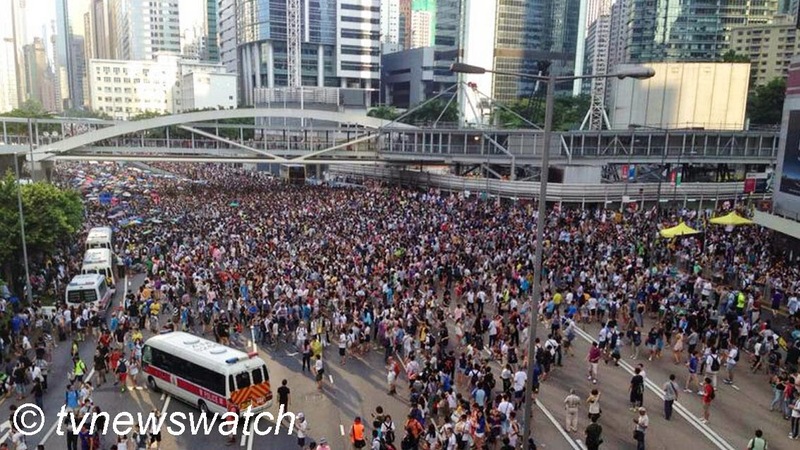 Following the tear gassing of protesters numbers swelled to tens of thousands, filling streets across the main business district of Hong Kong and essentially shutting down the financial district to traffic [BBC]. But after the a week of protesting, singing and speech making fatigue began to take its toll. Many had slept on the streets for days, only popping home for a shower before returning. There was also the fear that authorities might become more heavy handed, and whilst unlikely, there were some that feared a repetition of Tiananmen [CNN]. Another factor that also saw a dwindling of numbers was purely financial. Whilst businesses complained of losing money due to the demonstrations, the protesters too had taken time off of work as well as study [BBC]. After nearly two weeks of protest there was also a fading of media interest. Following the tear gassing of protesters there was a sudden deluge of news articles and media coverage. Indeed it got to a point that there was information overload coming from some news outlets. 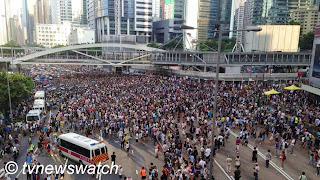 However, despite what might be seen as a withdrawal and giving in to demands to leave the streets, the protest has left an indelible mark and shown both Beijing and Hong Kong authorities that something needs to change. Talks have been promised but few are hopeful they will lead anywhere [Reuters / BBC / BBC]. The protests have also shown there are divisions in Hong Kong. Idealistic, forward thinking students have battled with angry triad gangs and shopkeepers in Mong Kok [Time]. The older generation have meanwhile largely stayed away and kept quiet, and whilst some have expressed sympathy for the students' cause, many feel that the disruption to the city was counter-productive [Time]. In the short term there may be few concessions. But the very size of the protests will be a wake up call to the government that political change must be addressed. If not, the next wave of protests may not be so peaceful. Indeed they may well be armed with more than just umbrellas.